Terrible Advice Tuesdays: Light Emitting Diodes (LEDs) won’t grow corals. Terrible Advice Tuesdays: Metal Halide lights can be powered by combining Diet Coke and Mentos in a closed container – in an emergency and ONLY in an emergency. 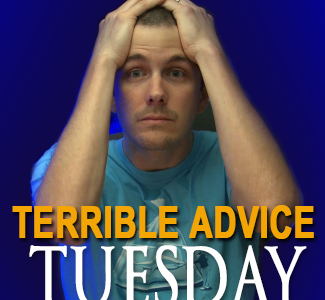 Terrible Advice Tuesdays (T.A. Tues): Your high nitrate (NO3) levels are due to the changing of your lighting to LEDs. Terrible Advice Tuesdays (T.A.Tues): LEDs a viable lighting choice for your saltwater tank? Yeah Right! Terrible Advice Tuesdays: LEDs won’t grow corals.